Rockefeller Park is a 3-mile linear park along Martin Luther King Jr. Drive and Superior Avenue. It is conveniently located near University Circle, which encompasses Case Western Reserve University, Cleveland Museum of Natural History, Cleveland Museum of Art, the Botanical Gardens, as well as numerous hotels. 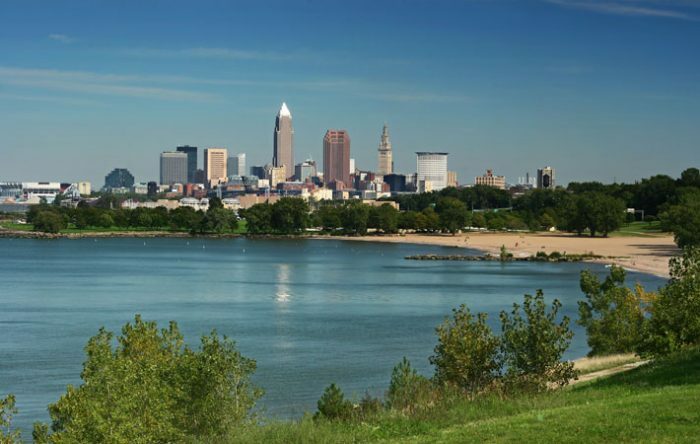 This scenic route follows the Harrison-Dillard Bikeway to the North and ends at the Cleveland Lakefront Nature Preserve. The running paths are paved and lit at night. The route borders Cleveland’s Cultural Gardens, which were established in 1925 and currently contain 26 distinct gardens celebrating Cleveland’s multi-hued ethnic heritage. If you like historic stone bridges, wonderful landscaping and beautiful gardens, be sure not to miss this route! Add-On: Just south, the University Circle area has some great running options — campus of Case Wester, and landscaped paths around the Museum of Art.